Working in the kitchen has never been easier, cleaner, safer, or more efficient! No matter what's on, or in your hands you can just step on the pedal to turn on the water. When your hands are messy, for example after handling raw chicken, you can turn on the water without having to touch the faucet. All the mess and germs go down the drain instead of on to the faucet. When you come to the sink with a pot, or anything else in your hands, you don't have to first put the item down, just to turn on the water. The operational versatility is limitless. When you need continuous flow, like when filling the sink, or running the garbage disposer, just engage the latch. You can even switch to hand control. 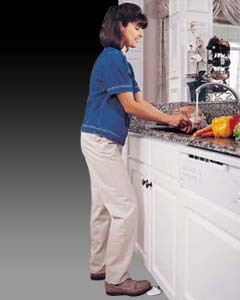 When doing dishes, as opposed to leaving the water running, step on and off the pedal to control the water without waste. You'll save mega gallons of water. The product pays for itself and helps protect the environment. Click here to watch a video of our product being used. Click here to see our pedal as featured on HGTV. With PEDALWORKS™, shaving is easy and efficient. Set the faucet for a comfortable shave. Step on and off of the Pedal as you rinse the razor. For continuous flow while the water heats up, latch the pedal open. No more constant flow of water while brushing teeth. 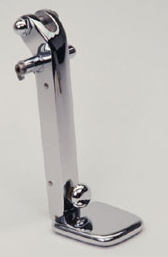 Beautiful faucets remain spotless because there is no need to touch the faucet. Installs easily on new or existing faucets with only 3 easy steps. 1. Cut a slot in bottom of cabinet using template provided. 2. 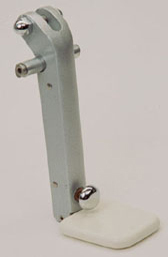 Secure pedal to cabinet using hardware provided. 3. Connect stainless steel hoses to your supply valves and faucet. Each PEDALWORKS comes complete with everything needed for installation in your home. 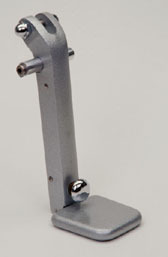 See the Color Selection Page to select a model number for your desired pedal color/finish. It works somewhat like a single lever faucet, except you use your foot to turn the water on and off. 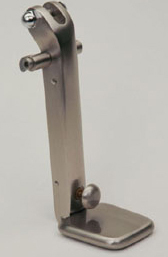 It works with any faucet: single lever, double handle, center pull out, etc. Have the faucet open to the desired setting. Step on and off the pedal to control the water. For continuous flow, latch the pedal open by pushing the toe button in. 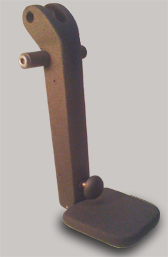 To release this latch, push the pedal and the latch automatically disengages. When latched open, traditional hand control is active. When faucet is closed, pedal operation is disabled. Each PEDALWORKS™ comes complete with everything needed to install one in your home. When making your selection for purchase, you are choosing the pedal color/finish you desire. All other components are the same for all models. Select the model number that corresponds to the color/finish you desire. 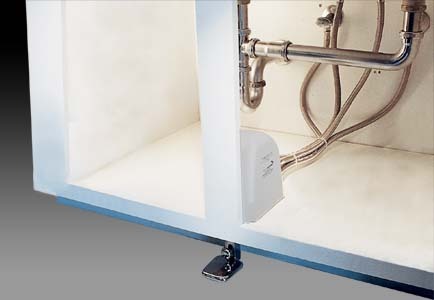 To Order a PEDALWORKS™ Faucet Controller, visit your favorite plumbing supply house or kitchen and bath dealer. 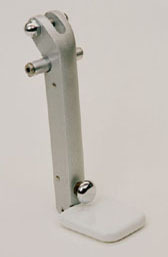 If there are no dealers near you, you can order direct from us, Pedal Valves Inc. by calling 1-800-431-3668. 4/99 Design Journal - National Kitchen and Bath Industry Show- Awarded "Best In Show"
2/99 American How To Magazine - Concerning an installation by the magazine in a American How To Club members home, "At first she considered it a novelty. Now she wonders how she ever got along without it." 1/99 Woman's Day, - In an article about trends, and the evolution about the faucet, "The current step in the evolutionary process is a pedal control that can be attached to any bath or kitchen faucet, giving you the freedom..."
4/98 Cooking Light - Part of the magazines Kitchen of the Future Project ,and described in the article, "...Brilliant..." 12/97 Kitchen and Bath Design News - "#2, Most Asked About New Products of 1997"
1/97 Today's Homeowner Magazine - "Best New Product of 1997"
Select the model number that corresponds to the color/finish you desire on our Color Selection page.